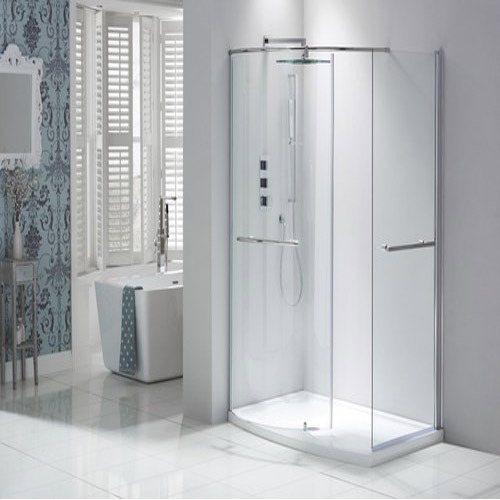 As a renowned company in relevant industries, we are offering a notable variety of Glass Shower Cubicles. A crew of our trained professionals, with hard-earned know-how, fabricates the offered range using pristine-grade raw material and hi-tech technology. Keeping in mind our patrons' fulfillment factor, we examine the complete range against several quality limitations. Established in the year 2004, Mega Technologies is a leading Manufacturer and Supplier of UPVC Door and Windows. Our product range comprises of UPVC Windows, UPVC Doors, Fly Mesh, Glass Accessories, Toughened Glass, DGU Glass and Security Glass. These products are highly known in the market for their features like well-built constructions, rust resistance, longer life service and low prices. With highly accomplished personnel, we have become the first option among our customers. Our team makes this product range using the optimum quality raw material that is acquired from industry certified dealers. Moreover, these products are made under the direction of highly knowledgeable engineers industry using highly developed technology and latest machines. In addition to this, we offer these products in varied designs, shapes and technical specifications.